Imagine the warm California sunshine on your back, the scent of wildflowers blooming, the wind rushing across your face, rows and rows of picturesque vineyards just a few feet from you. 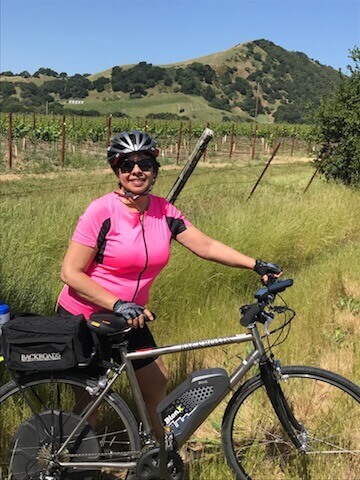 This is how I experienced the California wine country on my biking adventure with Backr oads. 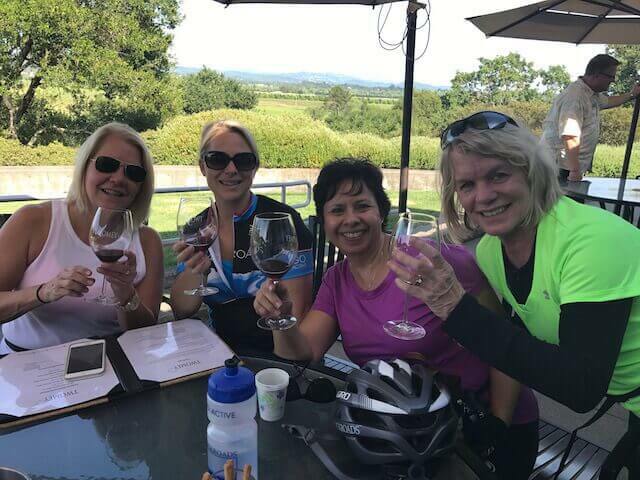 We pedaled throughout Napa and Sonoma vineyards. We stopped along the route to taste the fruits of the vintners’ labors. For outdoor enthusiasts, there is no better way to experience the wine country than on a bike. Whether you have been riding for years or you are planning your first cycling adventure, Backroads can accommodate you. You set your own pace, covering as many or few miles as you wish. When you’re ready to call it a day, Backroads is there to pick you up and take you to the hotel to relax. 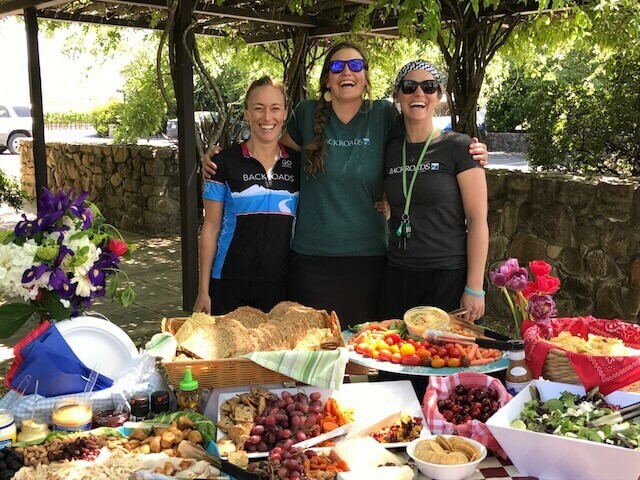 From the amazing trip leaders, setting up the delicious lunches at the perfect wineries to capture the essence of t he region, cheering us during our rides, superb accommodations to the gourmet dinners, Backroads leaves no detail overlooked. We started biking along the beautiful Russian River en route to Healdsburg. Stopping along the way at a couple wineries, we savored the flavor of every sip while soaking in the views. That evening in Healdsburg we dined at a favorite restaurant that practices farm to table cuisine with paired wine tastings. It was amazing. The next day we biked from Healdsburg to Geyserville, with a relaxing gourmet lunch at Foley Sonoma Wi nery, ending up in Yountville. Our last day of riding we rode the famous Silverado Trail. We made our way through the heart of Napa and the Carneros region then back into Sonoma. We stopped for a wine tasting at Artesa winery with its amazing panoramic views of Napa. I spent the days admiring the spectacular scenery through beautiful California. I enjoyed delicious meals, sampled some of the best wines, made new friends and to top it off I rode almost 60 miles through rows and rows of grape vines. This was an incredible and memorable biking adventure. I highly recommend you swirl, sip and cycle your way through wine country with Backroads, or any adventure trip with Backroads for that matter. Contact me if you would like to know more about Backroads. Hope to hear from you soon.